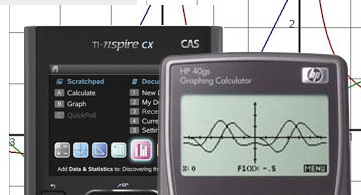 Enter your school login code for a list of calculators and other products available for purchase. Your order is complete upon payment confirmation and you will then be emailed a receipt. 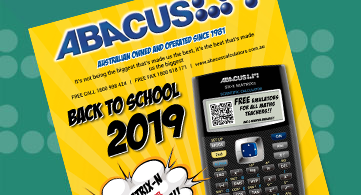 Abacus Calculators are Australian owned and operated. We are now in our 35th year of business. We are committed to providing exceptional customer service and quality products. 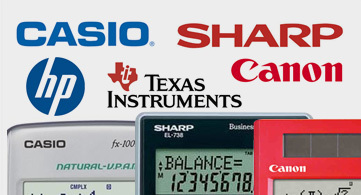 Abacus stock calculators from all major brands; SHARP, CASIO, TEXAS INSTRUMENTS, HEWLETT PACKARD, CANON and we now have our own Abacus brand calculators. Browse our range of products and buy online today. Abacus Calculators are the No 1 National reseller of education calculators. Discover the benefits of buying your school calculators through Abacus. Abacus have been a supplier of choice for the Canberra Girls Grammar School for over 15 years. The company has always been friendly, personable and reliable to deal with. They consistently keep us up to date with technological advances for their products and deal with any warranty issues immediately. Our annual orders placed with Abacus are always filled correctly and delivered exactly when requested. Customer service is always a priority and this makes our dealings with Abacus a delight.